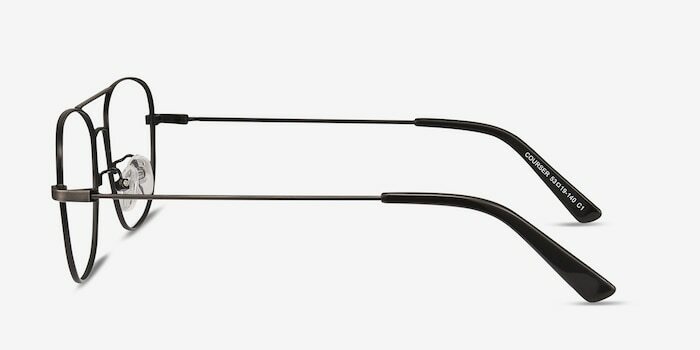 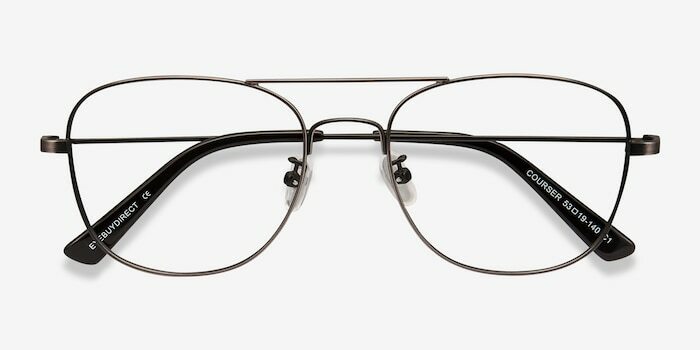 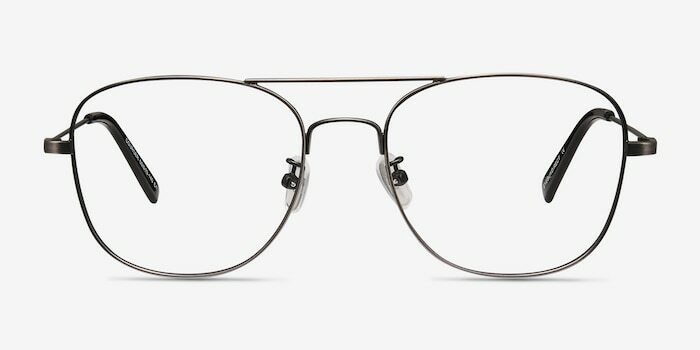 Get in touch with your vintage side in these Courser eyeglasses in gunmetal. 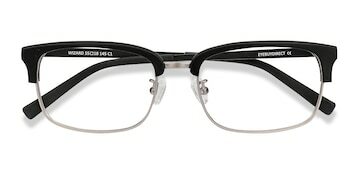 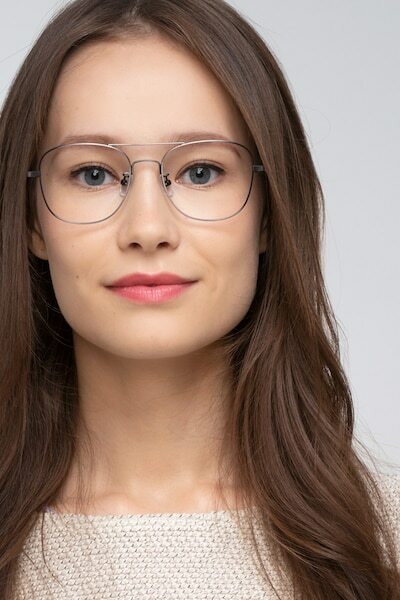 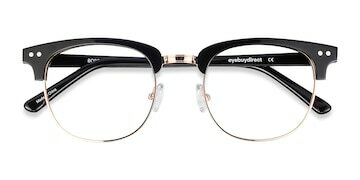 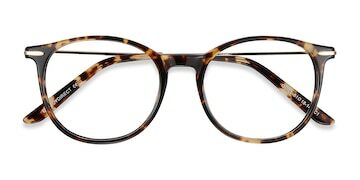 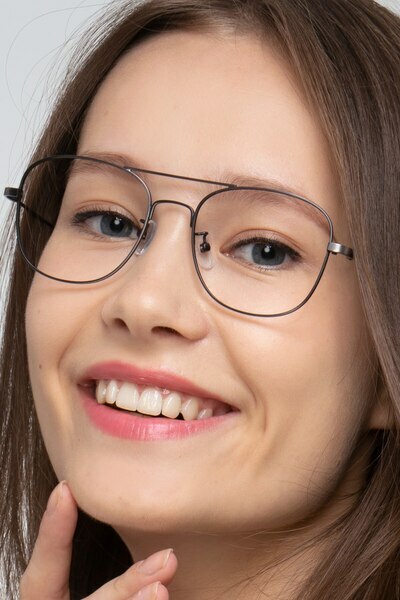 The large, full-rim square lenses and ultra trendy double nose bridge mean this frame has a scholarly yet fashionable hipster vibe. 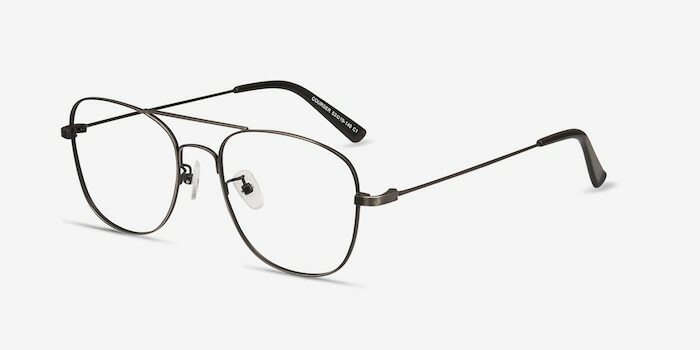 Lightweight metal construction, temple tips, and adjustable nose pads mean Courser doesn't compromise on comfort.